Fifty-four years ago on this day, the world was changed forever. With the assassination of the 35th President of the United States, John F. Kennedy, American politics altered course, and the cultural impact of this loss has been felt ever since. 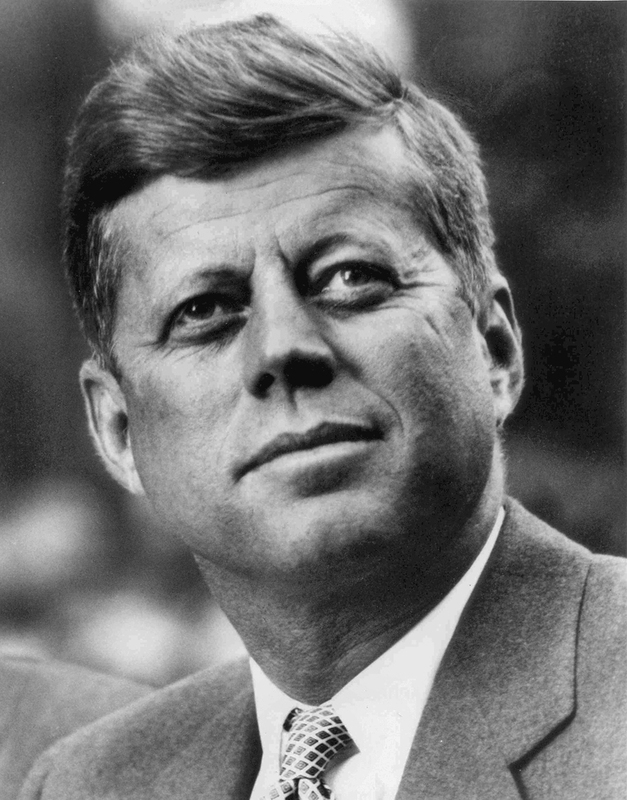 Commonly known as JFK, he served as president from 1961 until his assassination in 1963. He represented Massachusetts in the United States House of Representatives as well in in the Senate. In today’s Dash from the Past, we are exploring the fascinating life story of John F. Kennedy. Born May 29th, 1917, with the full name John Fitzgerald Kennedy, JFK was afforded every advantage in life. He was born in Brookline, Massachusetts, to well-to-do parents, Joseph P. Kennedy Sr., and Rose Kennedy. His family was involved in politics, business and philanthropy, and well connected within socialite circles. JFK had the advantage of top-notch education, attending a variety of private academies and boarding schools, ultimately graduating from Harvard University in 1940. As did many men of the time, John Kennedy aimed to serve his country and begin his political career through military service. JFK was initially medically disqualified from joining the Navy due to lower back issues. In 1941, he joined the United States Naval Reserve, after months of exercising to improve his condition. He served a major role during World War II, heroically leading a patrol boat crew to safety from an attacking Japanese destroyer. Despite being injured himself, he successfully rescued a crewman who had been badly burned in the attack, for which he got the Navy and Marine Corps Medal. The Kennedys have a long standing place in American politics. Following the death of his older brother, pursuit of the presidency fell to John. He ran for election for Congress in 1946, and served in the United States House of Representatives until 1953. During this time, he focused his attention on international affairs and supported labor unions. From 1953 to 1960, he served as the junior senator of Massachusetts in the United States Senate. His back condition, exacerbated by the war, became an issue during this period. He was often absent from his Senate duties due to spinal surgeries. His surgeries left him critically ill at times, and close to death. During this time, he published the biography, Profiles in Courage, in 1956, for which he won a Pulitzer Prize for Biography. In 1960, he was elected President of the United States of America. 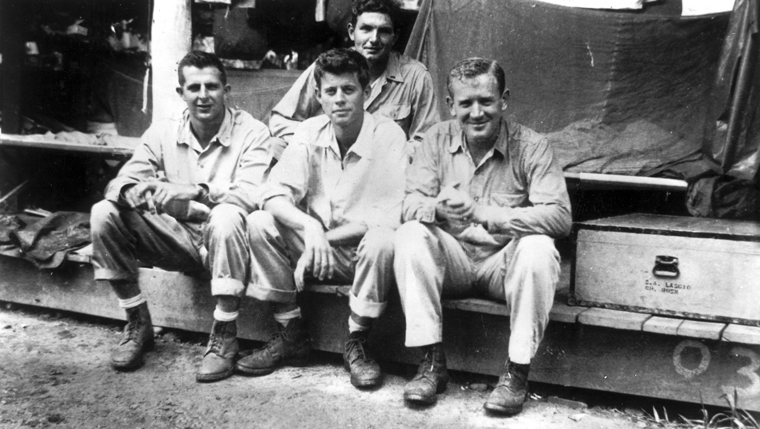 Kennedy always possessed the true leadership skills which made him come so far in his career. However, the next few years presented unique and difficult challenges, both in America and internationally, which would test the young president. 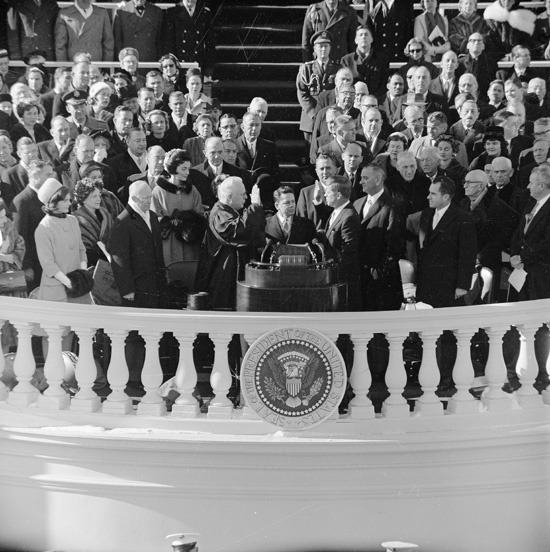 He was sworn into office on January 20, 1961. 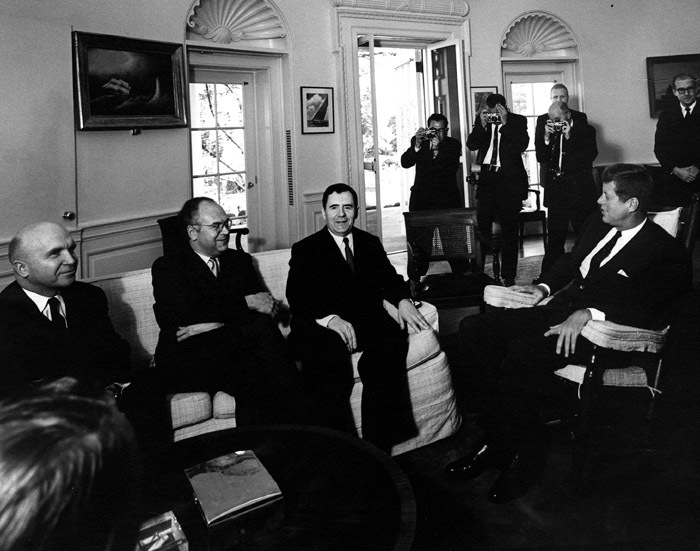 The election of John F. Kennedy to President of the United States was of particular interest in 1960s America. Not only was he the youngest US president to be elected, at the age of 43 years, he was also the first ever Roman Catholic to gain the seat of Presidency. There was a palpable anti-Catholic sentiment at the time, yet his emphatic support for separation between church and state ultimately helped him overcome this prejudice. Kennedy's role was vital in the Cold War. His presidency mostly focused on improving US relations with the Soviet Union. One of the first crises he faced came right on the heels of the election. He sent 1400 CIA-trained, anti-Castro Cuban exiles to Cuba in what was known as the Bay of Pigs Invasion. The mission was a failure. 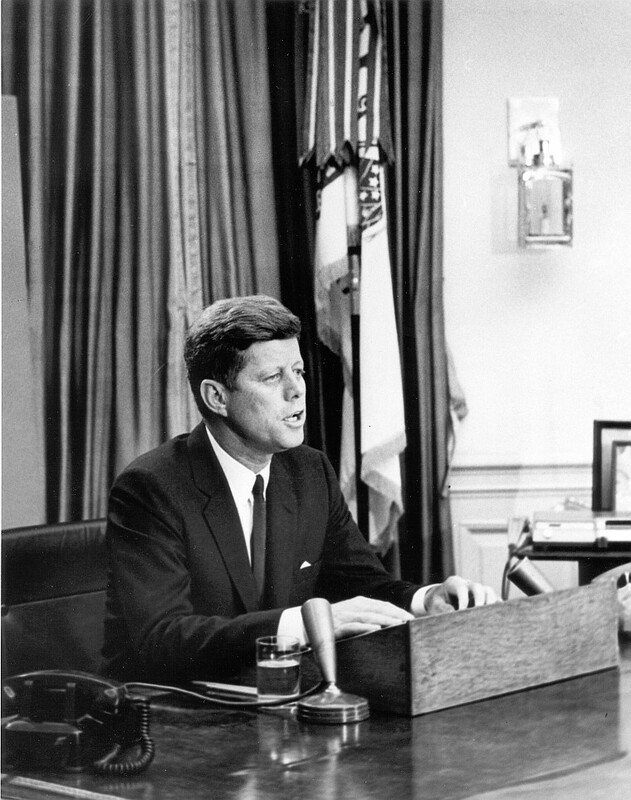 Many were killed, and Kennedy had to negotiate with the Cuban government for the release of the captured exiles. The discovery of intermediate-range ballistic missile sites being built in Cuba by the Soviets launched the JFK administration into one of the most notable crises of the century. Faced with the dilemma of whether or not to preemptively strike Cuba, JFK engaged in high-stakes diplomacy, veering the world away from potential nuclear war. Ultimately humanity prevailed, and a peaceful resolution was found. JFK is remembered to this day for his cautious and calculated handling of the Cuban Missile Crisis. "...world peace, like community peace, does not require that each man love his neighbor—it requires only that they live together in mutual tolerance ... our problems are man-made—therefore they can be solved by man. And man can be as big as he wants." At home, John Kennedy aimed for better civil rights, and also seeked to reduce income taxes. He introduced policies that did somewhat fulfill his aims, although his agenda was cut short by his assassination. Despite the mistakes he made as a president, he mostly proved to work for the benefit of his state. He supported racial integration, though his political efforts for equality waffled throughout his presidency. Ultimately, proposals he made were part of the foundation of the Civil Rights Act of 1964. Kennedy was popular among the common people. He was also highly ranked in polls compared to other presidents. John Kennedy married Jacqueline Lee Kennedy Onassis in 1953. 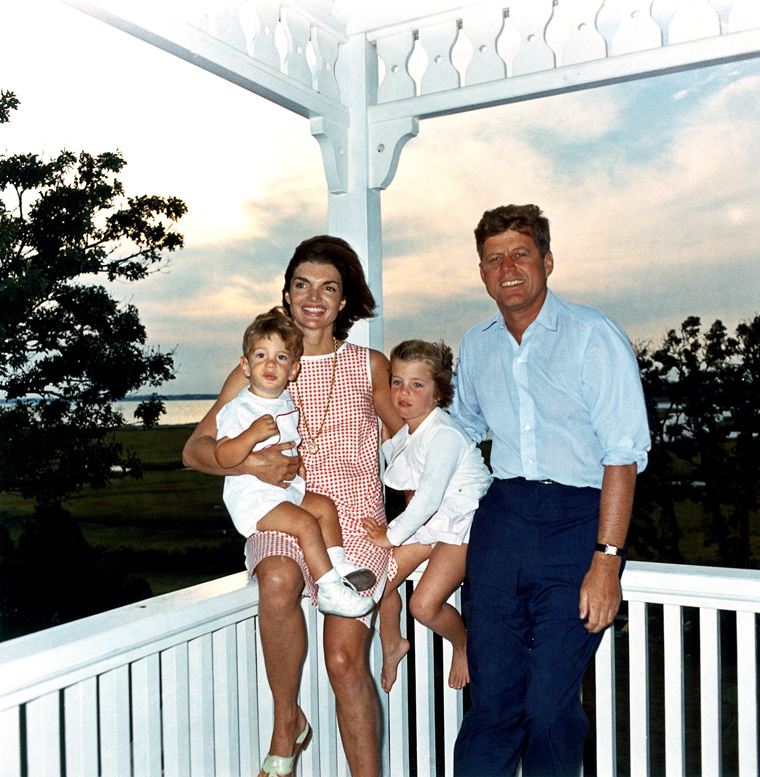 Together they had children Caroline Kennedy, John F. Kennedy Jr., Patrick Bouvier Kennedy and Arabella Kennedy. The young couple influenced fashion and culture more than previous presidents. Jackie O was a style icon, updating the furnishings and adding amenities to the White House during her residency there. We don’t know much about John Kennedy's personal life. However, JFK was tied to a number of extramarital affairs and other scandals. On his birthday, Marilyn Monroe serenaded him with a sultry version of "Happy Birthday." This fueled many rumors of infidelity, which were later all but confirmed by government transcripts and records. Talk of JFK’s wild side and extramarital affairs still swirl as part of the mystery of his short presidency and its huge cultural impact. The president was assassinated on November 22, 1963, in Dallas, Texas. Just the previous day he gave speeches in San Antonia, Austin and Fort Worth. His next speech was at the Dallas Trade Mart where he was heading in a motorcade. Waving to citizens who had lined up to see the president drive by, he was shot once in the back, and once in the head. Lee Harvey Oswold fired the shots from the Texas School Book Depository. He was rushed to a nearby hospital but was announced dead about 30 minutes after being shot. The president had been outspoken regarding his distaste for communists. Many of his policies and political direction were devised from fear of a communist uprising, such as in Russia. Marxist Lee Harvey Oswald denied his involvement, claiming to be a political scapegoat. He was murdered two days later by Jack Ruby, a nightclub owner. The high drama surrounding the assassination has made JFK’s story a mysterious and controversial part of American culture. 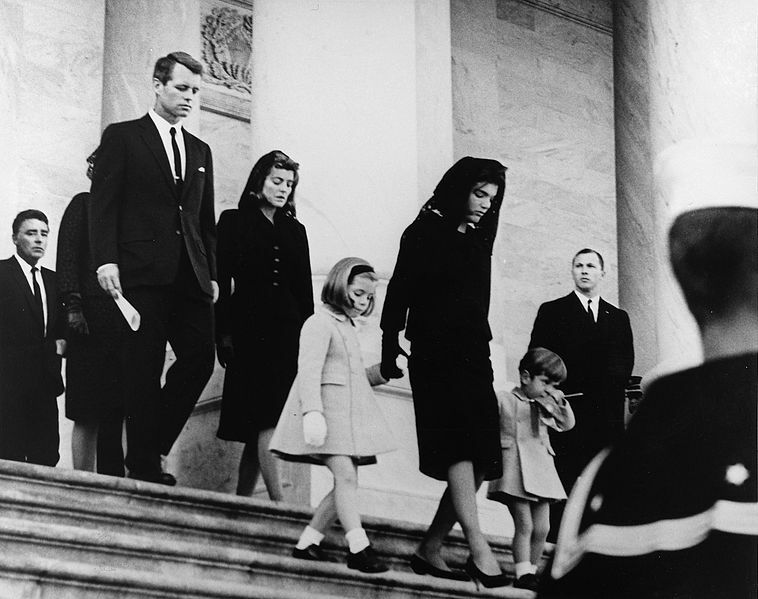 Following confirmation of his death, JFK was flown back to Washington for an autopsy and final funeral preparations. His body was first brought to lay in the White House East Wing. The next day, it was displayed in the rotunda in the Capitol for a public viewing that drew over 250,000 mourners. 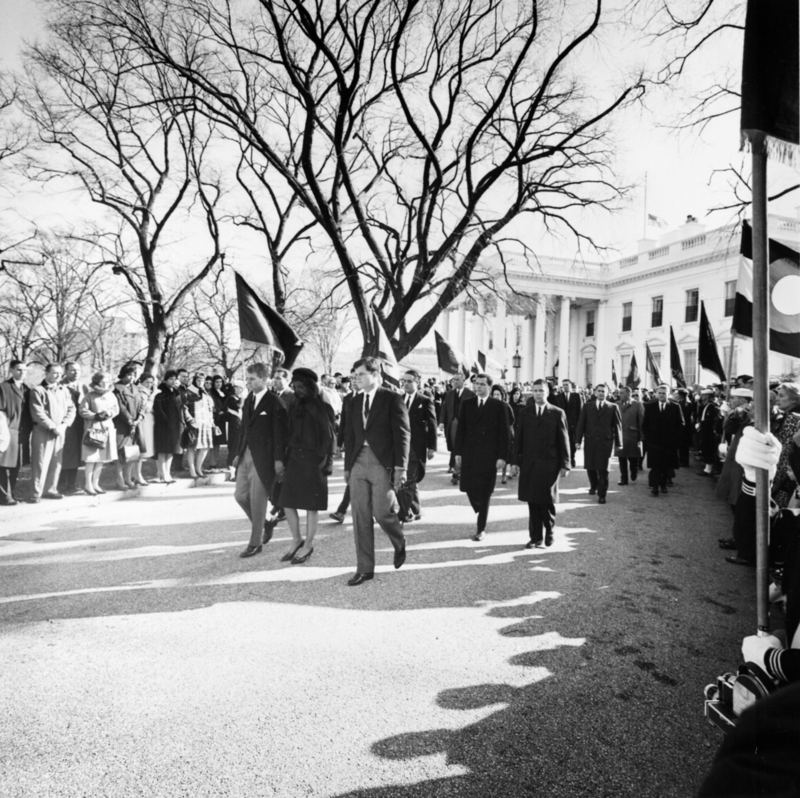 Many people waited longer than 10 hours to see the body of the President, in temperatures that bordered on freezing. 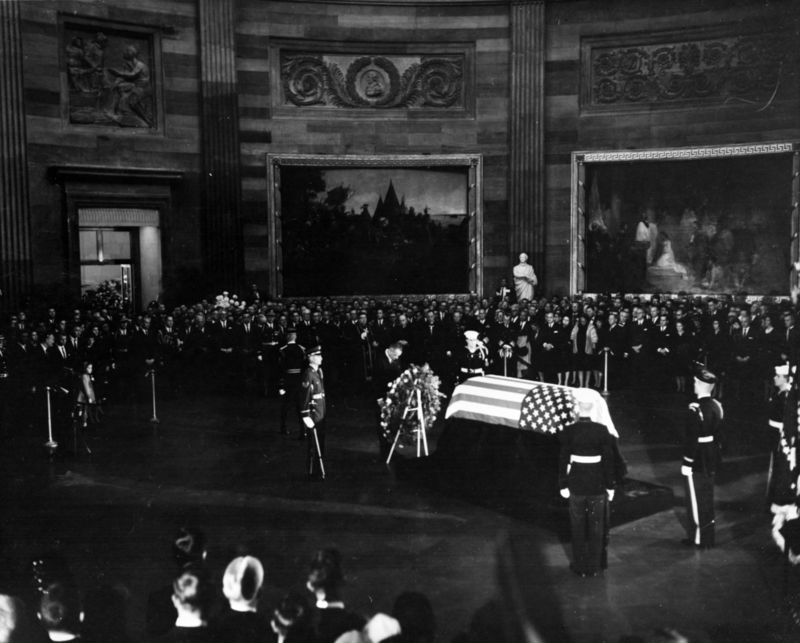 A state funeral was held for JFK on November 25th, 1963, just three days after his death. It included a procession in a horse-drawn caisson to the cathedral from the rotunda, a full Catholic funeral Mass, and a procession to the burial grounds, where he was laid to rest in the Arlington National Cemetery. Approximately 1,200 guests were invited to the Mass, including one of the largest congregations of royalty, politicians, and dignitaries of the century. There was concern that another assassination attempt could occur with the more than 220 world leaders and dignitaries present. JFK’s death brought tremendous grief to the entire country. The day of his funeral was declared a national day of mourning by new President Lyndon B. Johnson. Only emergency services workers were to work on the day of JFK’s funeral. All Americans of a certain age will all be able to recall where they were when the world discovered President John F. Kennedy was murdered. His death brought grief to the entire country, and changed American politics forever. Though his dash was cut tragically short, he accomplished much in his short life. Today, on the anniversary of his death, we honor JFK’s contributions to America, and the world.